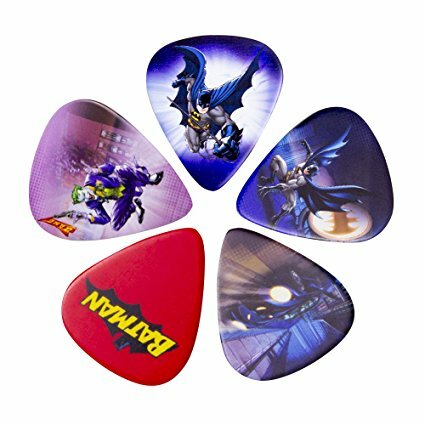 ach set includes two batman designs, plus the joker, the batmobile and classic comic logo plectrums. Iconic batman symbol on the rear of every plectrum. Medium weighted (0.71mm) with a smooth, durable finish.